The Gesneriad Society is an international association of people who enjoy plants in the family Gesneriaceae. We grow, propagate, study, collect, breed, show, photograph, and judge these beautiful and fascinating plants. On our site you will find all sorts of information about gesneriads and our Society. We also have an online store featuring our publications and gesneriad accessories such as shirts, hats, and pins. Please take time to explore what we have to offer. If what you're seeking isn't here, it's likely to be found on one of our linked sites. To get a sampling of what we are about, try a free subscription to our monthly e-zine, Gleanings. Gleanings is available to everyone members and non-members alike. You can also view a sample issue of the Society's journal, GESNERIADS, and read about the benefits of membership to find out more about the Society. We now are offering a "Green" delivery option – a good way to reduce paper and receive our journal in your email box. We have many local chapters where you can meet other gesneriad enthusiasts to share plants and information. We have gesneriad conventions, shows, and a program for training gesneriad judges. 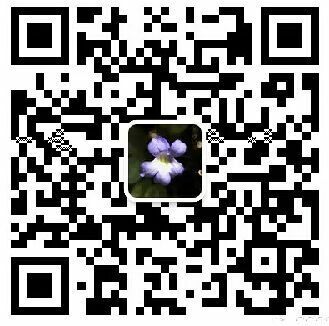 We sponsor gesneriad research by botanists who are furthering our knowledge of these plants.If you are a member of The Gesneriad Society, check out our Members' Area where you will find electronic copies of our journal GESNERIADS and other goodies. Your user ID is your member number found above your name on your copy of our journal, and your password is your last name. We have always been supportive of Gesneriad researchers and students. This support is dependent on individuals doing their part with donations to the several funds that are used for scholarships, research grants, and student stipends to attend our annual convention. We hope you enjoy our Website. If you have feedback or suggestions about our site, please contact our Webmaster. If you have feedback or suggestions for the Society,please contact me.